How do you know what size to order wide vs. extra wide? Thank you so much for your question! To achieve the most comfortable and accurate width fit you MUST measure the width of your feet. Women do not believe the width measurement is an important one but they couldn’t be more wrong! Think about the difference in inches between a wide and extra wide width. It’s 0.4 inches. Imagine having to cram your toes into a shoe that is a half an inch too small. Painful! The benefits of taking the time to measure your width will help prevent toe crowding, bunions, blisters and long painful nights are the dance floor. Not to mention heel slippage. Use our handy size chart to compare your width data then start shopping for comfortable shoes! 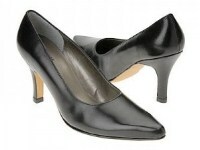 I wanted to spotlight an extra wide classic black pump ON SALE for $39.94. 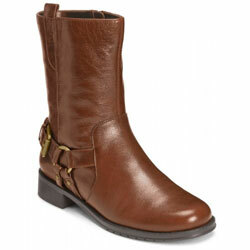 Marked down from $81.00.